Smitten by John Morton was first performed in The Barn, Church Lane, Kilkenny from 20th – 23rd August 2008 in a production directed by Colm Sheenan. 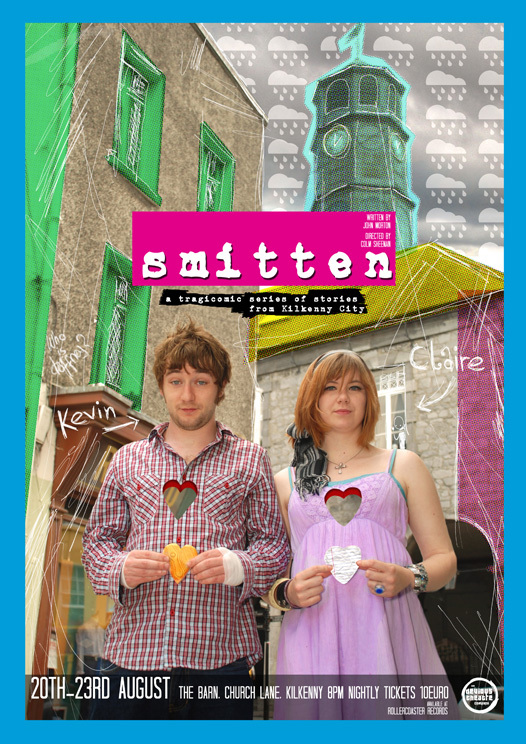 Smitten depicts a tragicomic series of loosely interlinked stories set in Kilkenny City over a succession of rainy summer nights.The characters at the core of Smitten are all young adults trying to find their bearings in life. The realities of adult life are dealing a harsh blow to the best laid plans, in a way that leaves them totally smitten… in all the meanings of the word. Alcoholism. Pregnancy. Testicular Cancer. Career choices. Doomed Relationships. Sock Puppets. Mystery girls. Musicals. How to dance to Bruce Springsteen. And rain. Lots of rain. Smitten plays as a theatrical collage, with intertwining stories and varying forms of narrative giving life to the comic and often tragic stories that litter the rainy streets of Kilkenny City. 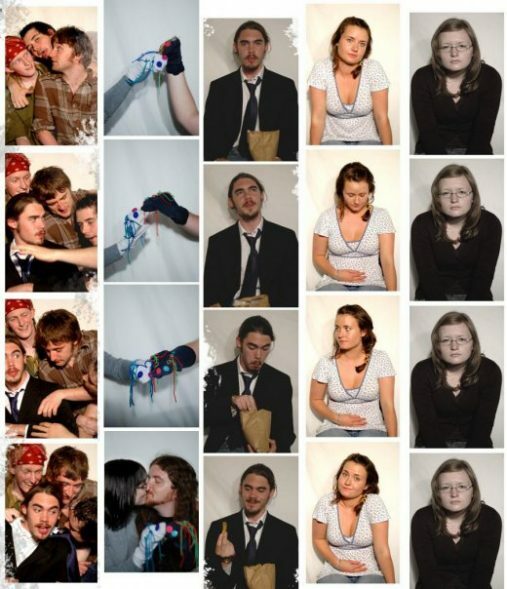 Smitten was produced with the support of Barnstorm Theatre Company.